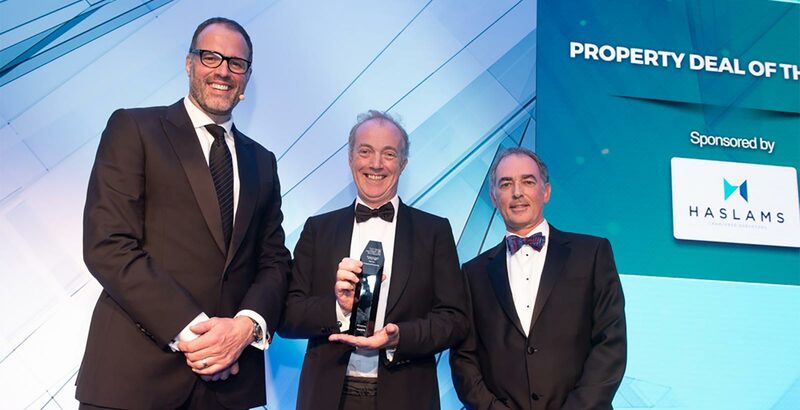 The £725m purchase of four southern business parks including Winnersh Triangle, Farnborough Business Park, Chineham Park and Watchmoor Park was awarded Deal of the Year at the Thames Valley Property Awards ceremony last night. The distinguished panel of judges recognised the scale of the purchase by Singaporean-based Frasers Property. As a new entrant into the Thames Valley property market, the creation of a business park platform of over 3.5m sq ft will positively influence the sector and the regional economy. Since the purchase in November, over 150,000 sq ft of new leases have been concluded across the estates. Frasers Property is part of a full-fledged international real estate company and one of Singapore’s top property companies. The company invests in, develops and manages properties across the globe with residential, commercial and retail locations in Singapore, Australia, Asia and Northern Europe. Its hospitality division operates serviced apartments and hotels in more than 80 cities in Asia, Australia, Europe and the Middle East. Combined with robust financial and operational discipline, and the thoughtful execution of long term strategies, Frasers Property’s aim is to deliver value to stakeholders and communities by developing real places for real people.